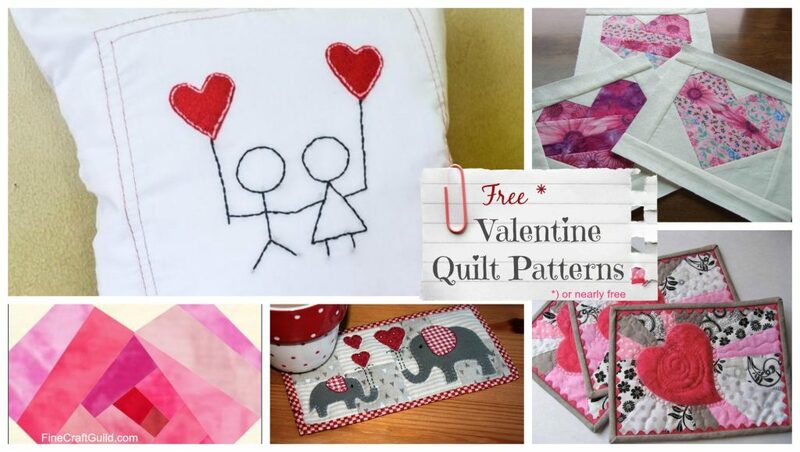 With exactly a month till Valentines Day, it is the perfect time to make something extra pretty for that special friend and that special occasion. Here are 7 free (or nearly free) quilt block patterns that would befit a wide range of home sewing and embellishing projects. 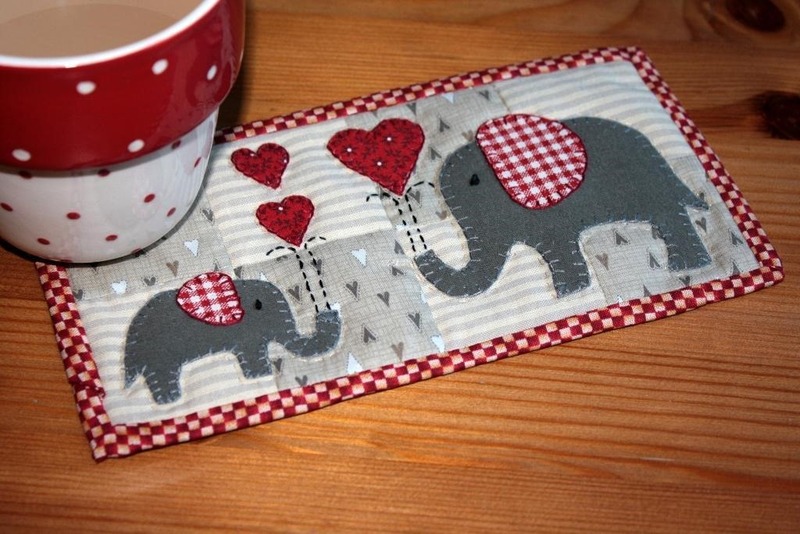 Lots of hearts, of course, but also pretty elephants make for great quilt designs. 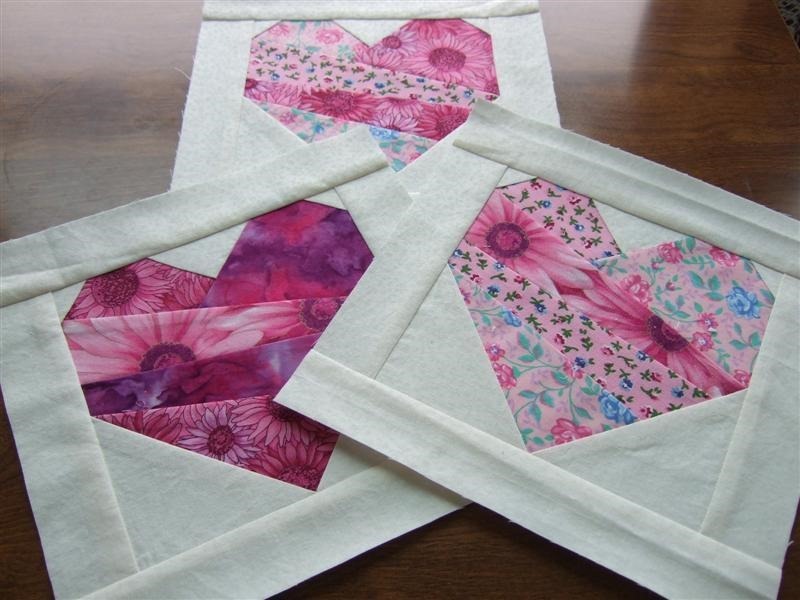 Marcia Wachuta designed the kind of heart quilt patterns that I would design and make: cheery, friendly, detailed but not too busy, great way to use up scraps. This paper piecing quilt pattern has a lovely flower fabric color combinations and a very-doable design. Nothing too complicated here. However, work these easy-to-make hearts into pillows or make them part of a larger quilt and you’ve got a stellar quilt design going. 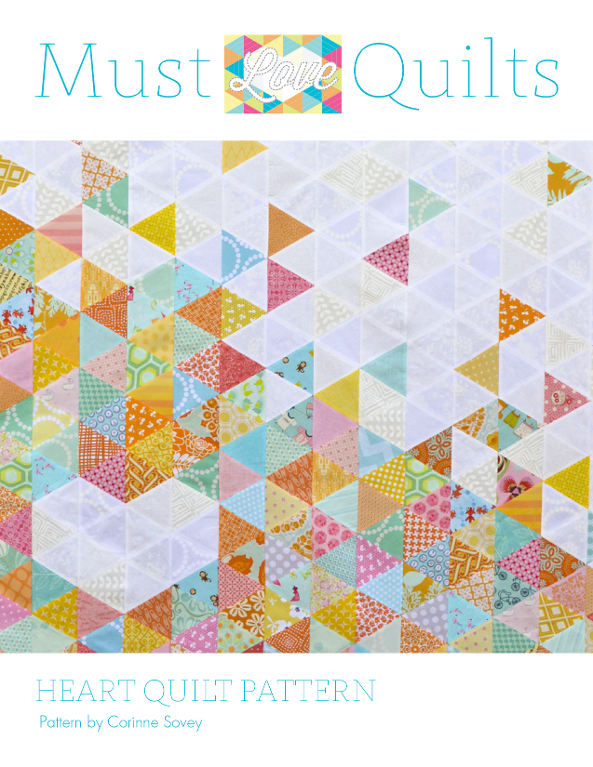 Yes, it’s a free quilt block pattern! 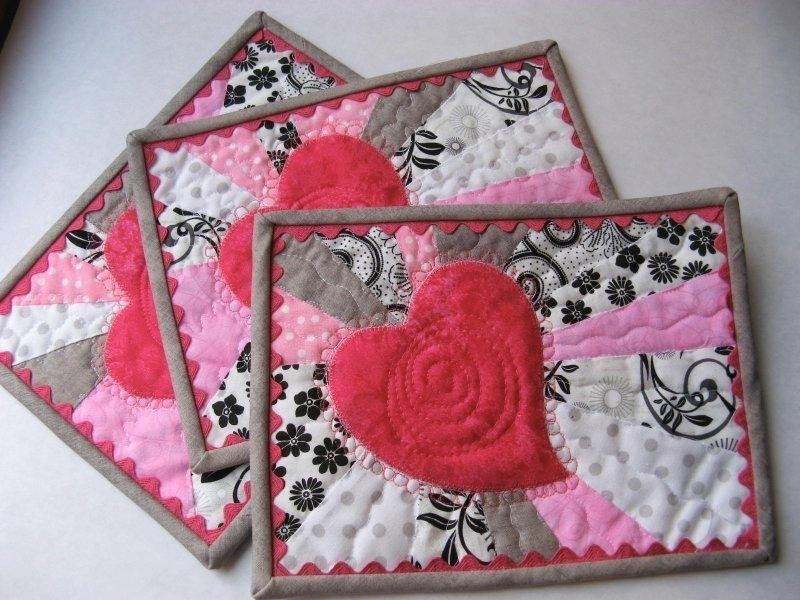 When you follow the link below the image, you’ll see that Marcia also worked these hearts into ‘crazy’ bright colored quilted objects and blankets. Personally, I’d use them in a simple blanket design with lots of white, blue and green pastels around the art hearts instead; gentle colors that will offset the pink hearts and create a calm quilt. Perfect for a romantic girl’s bedroom, or on the sofa at Valentine’s day. Or any other day, as to me, hearts have year-round appeal. 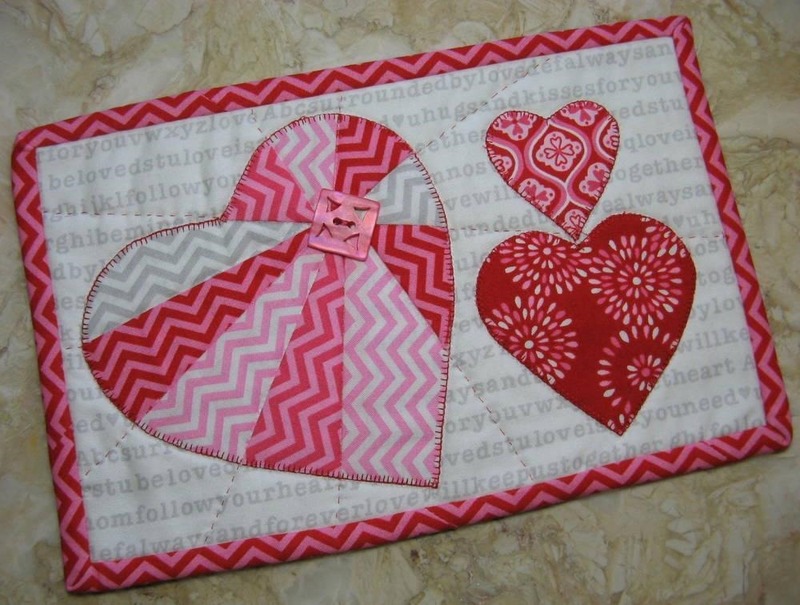 This log cabin heart quilt block design was created specifically for Valentine’s Day. It is designed by Jennifer who trades under the name of SewHooked. 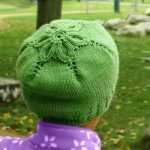 She’s made 154 patterns, several of which are free. She’s been paper piecing for over 10 years now, and you can tell by the finesse of the design. The chosen color scheme of this heart quilt pattern literally draws you into the heart, making the design more meaningful as well as pretty and cheery. The pattern is easy enough for novices and beginners. It would transform in a fun pillow for a teen room. 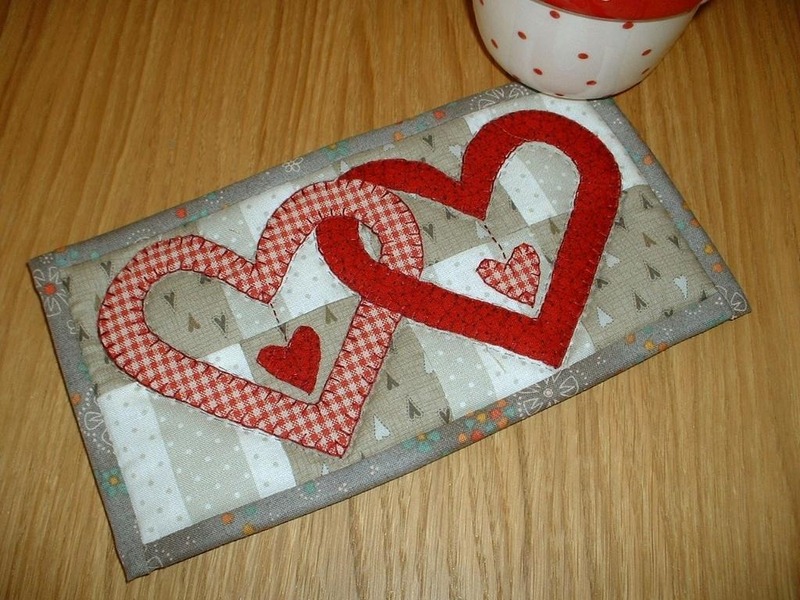 This quilted heart mug rug would make a great project to learn paper piecing, how to make a mug rug, and, simultaneously to create a homemade gift for a friend on Valentine’s Day. Mug rugs are like small placemats, and hold a mug and a small plate. 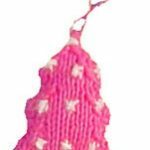 Besides being good gifts for friends, they are also perfect gifts for people in hospitals, given them something cozy to hold onto and bringing some hominess into an otherwise sterile environment. The very detailed instructions are making this pattern easy. The mug rug makes up quickly, and the pattern is very detailed. 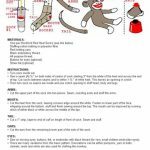 There are complete instructions for making the paper foundation pieced heart, instructions for constructing the mug rug with quick fusible web, and a tutorial for making a heart shaped yo-yo. Helpful photos are strategically placed throughout the pattern. This quilted mug rug is designed by 2strings. This is so adorable. These elephant quilt design would make a great gift and be a cute theme for a baby / girls’ bedroom, when applique’-ed onto a pillow, curtains, crib blankets, baby cloths and the likes. I like this color combination for a kitchen table, but I’d transform it to a pink-ish scene for a child bedroom. This darling mug rug is of a completely different, but also lovely, country-cottage design: linked hearts. I saved one of the best heart quilt patterns for last. This is a really fun triangle quilt with is so whimsical. The fun heart at the bottom left could easily be replaced with a flower. Simple quilting technique and as all the shapes are identical, after you have worked out the layout of all your colored triangles, this quilt will work up fast, despite being large. 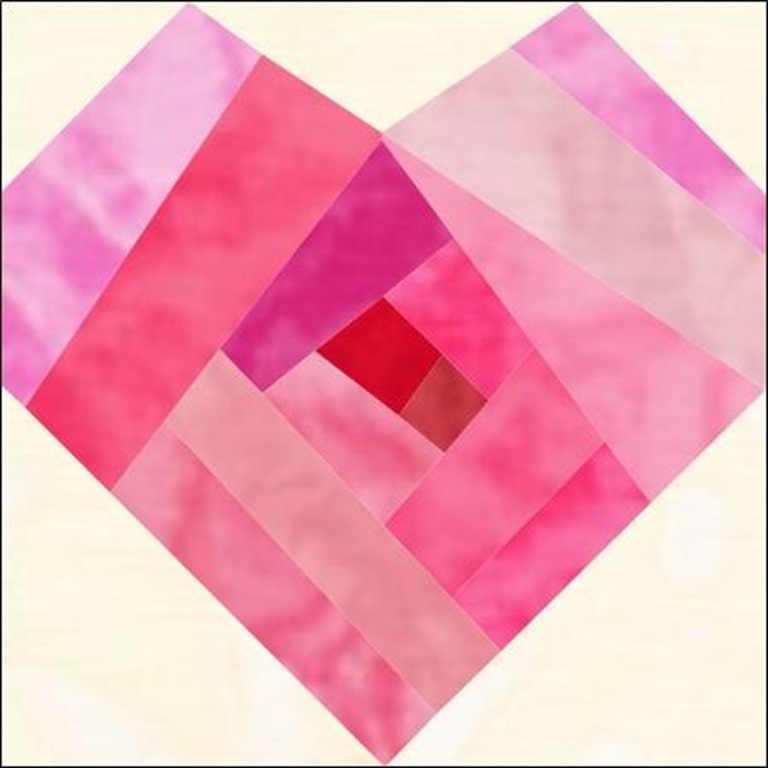 Download your free .pdf triangle heart quilt pattern here: Heart Quilt Pattern. 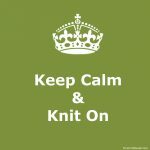 Note: my links are affiliate links, even though these patterns are available free (or for a small price). 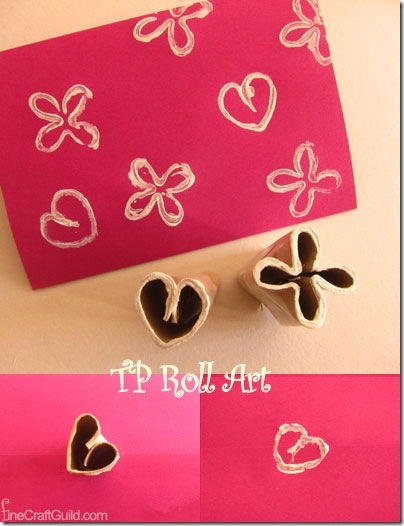 DIY Valentines Gifts and Crafts, such as this lovely handmade card, which would make a fun Valentine card to match your homemade quilt gift.